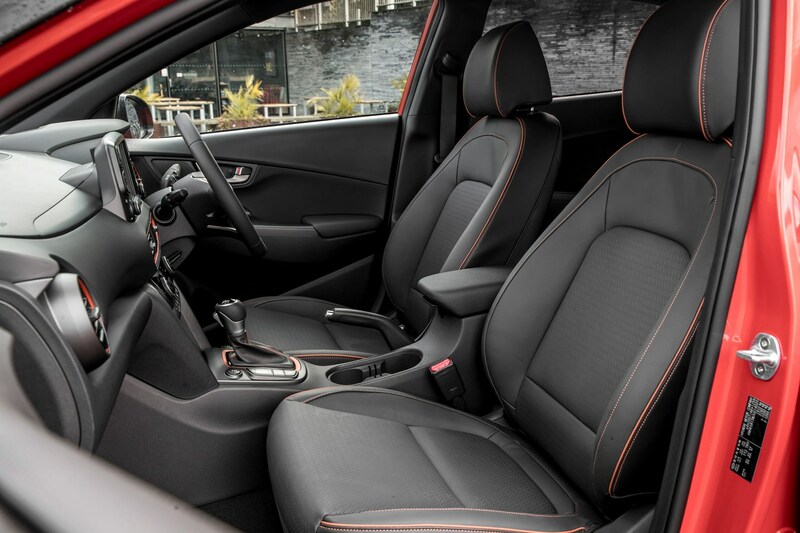 Insurance group: 9 - 20 How much is it to insure? 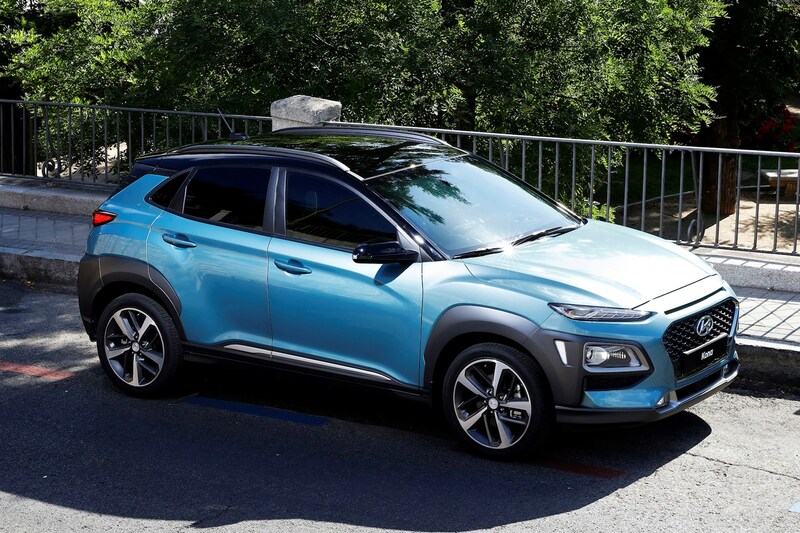 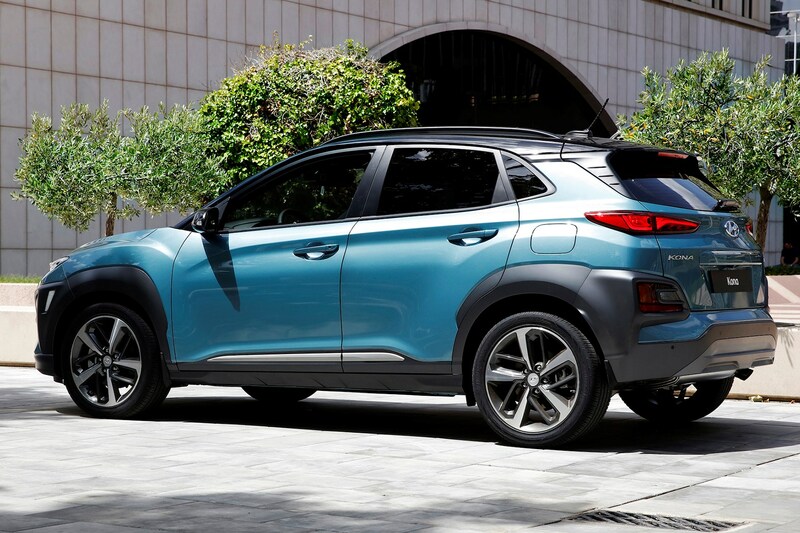 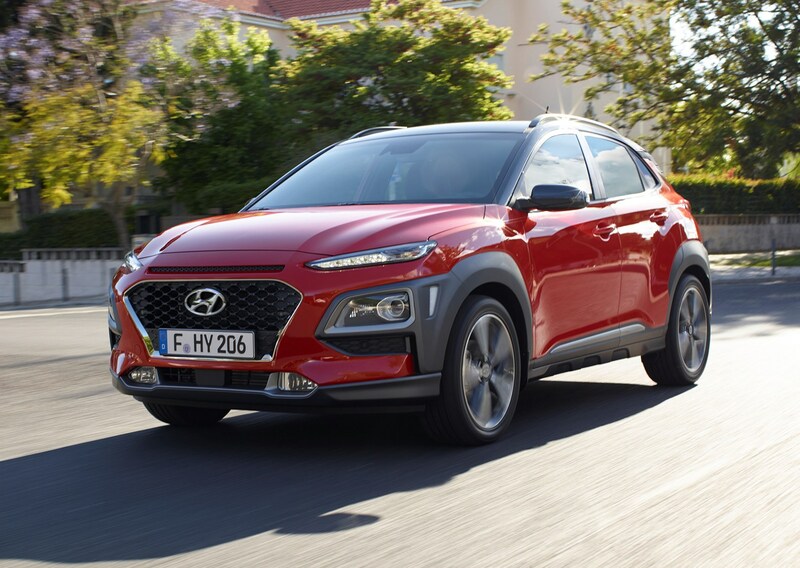 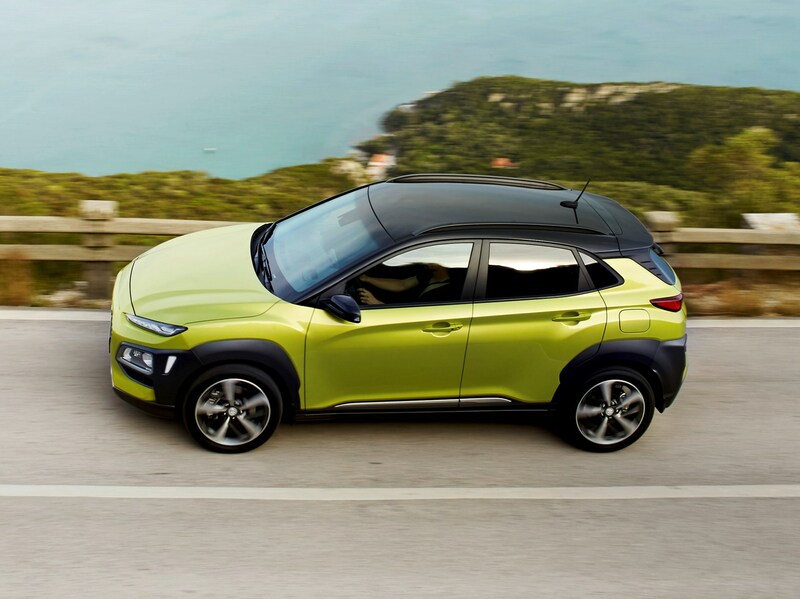 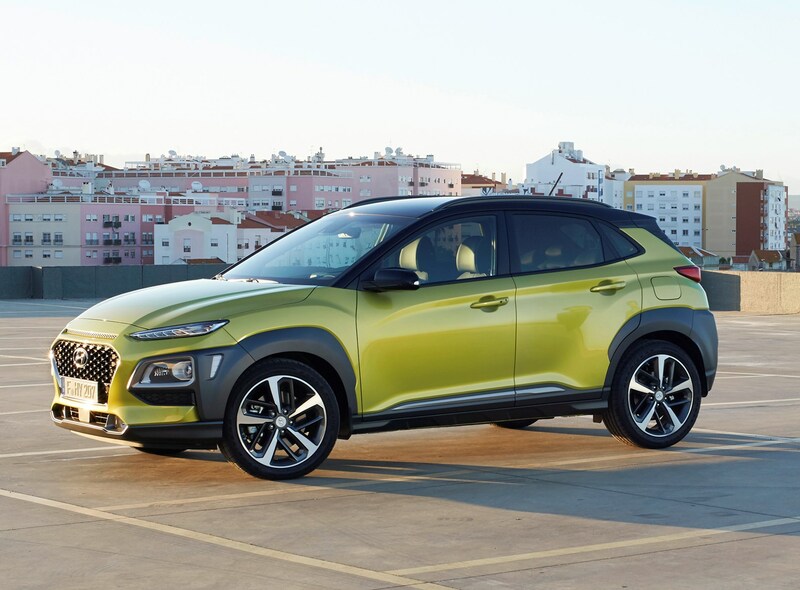 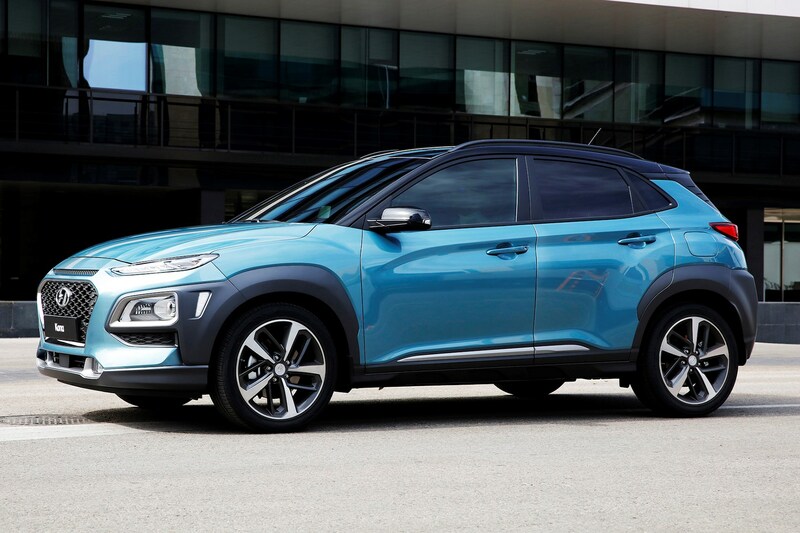 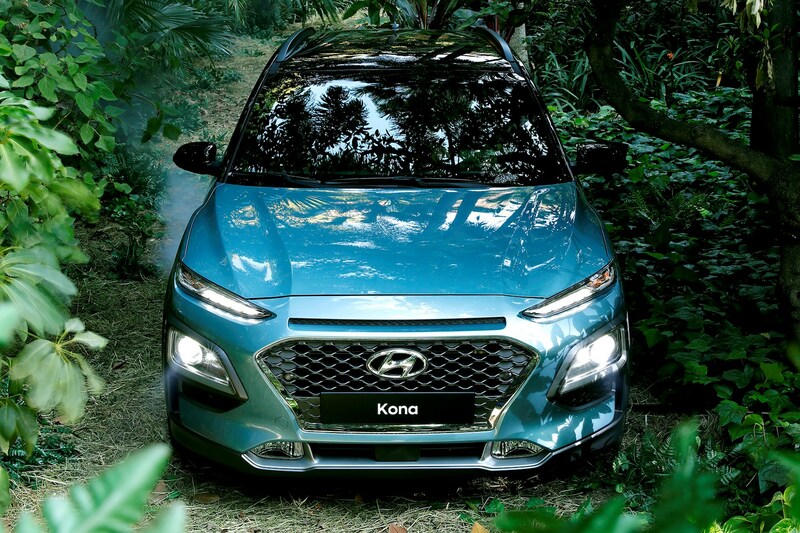 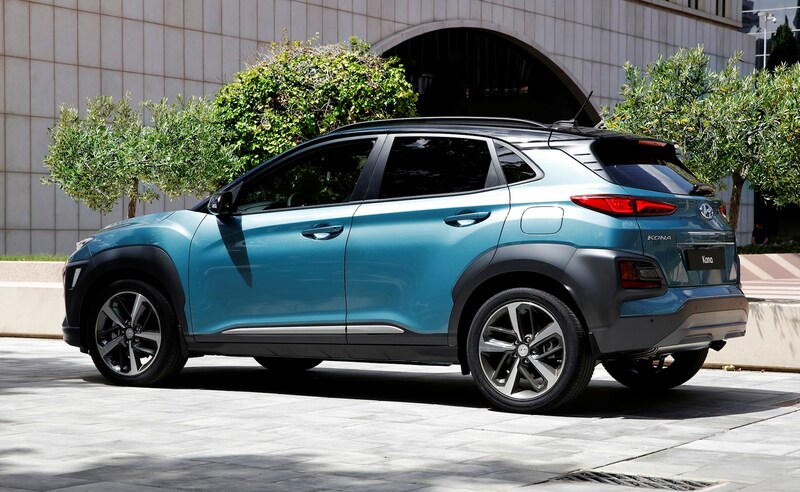 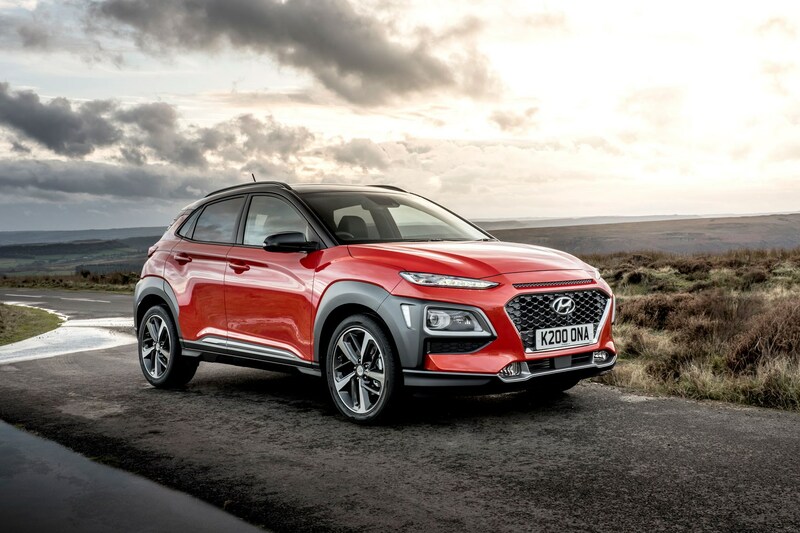 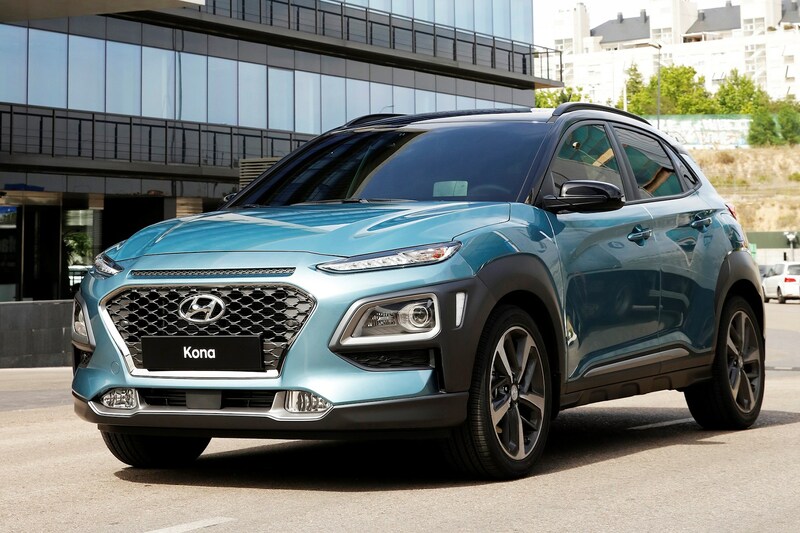 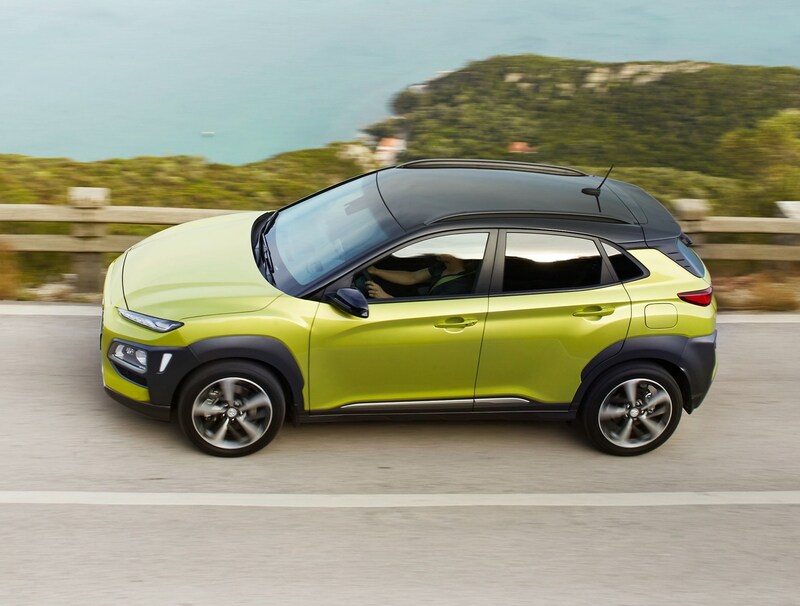 Named after a district in Hawaii, the Hyundai Kona is the Korean firm’s entry-level SUV, slotting in the range below the Tucson and Santa Fe. 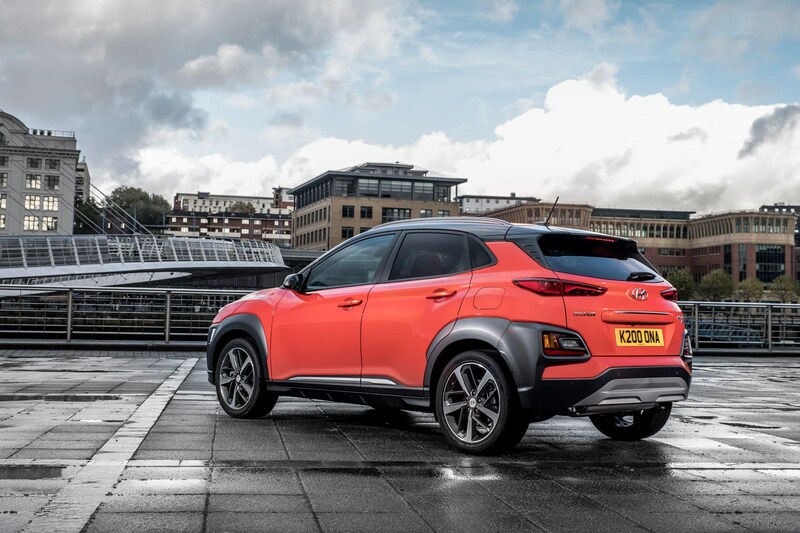 It's cast very much in the mould of a barrage of rivals from Europe and Japan – question is, would you buy this car over such talented opposition? 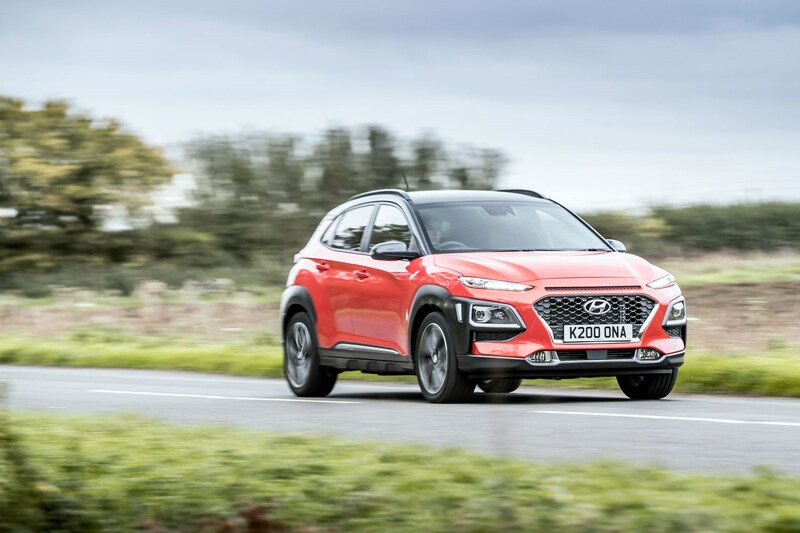 The big sellers in this market are the Nissan Juke, Vauxhall Crossland X, Peugeot 2008, Renault Captur and the Mazda CX-3, but there are interesting alternatives further down the sales charts. 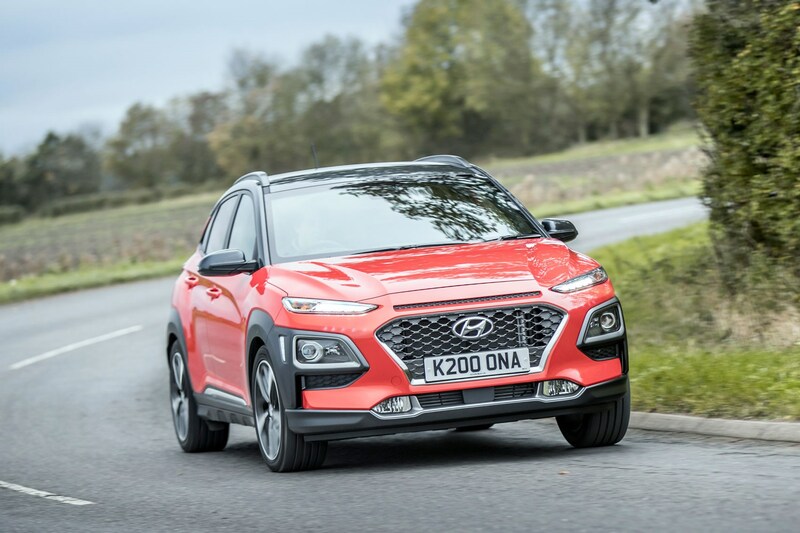 The SEAT Arona, and Citroen C3 Aircross have made a great impression, while the MG ZS is a left-field choice that's big on value. 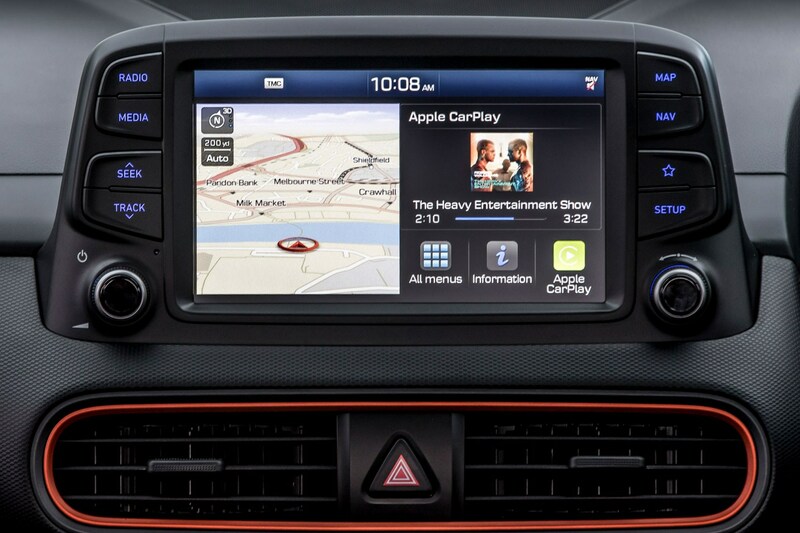 Making a cut-through in this cluttered market sector is tough for anyone. 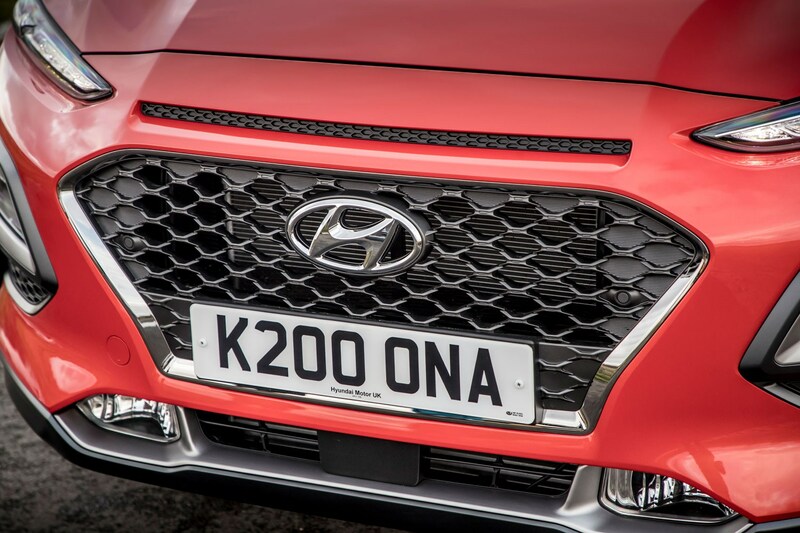 But if anyone can do it, it's Hyundai. 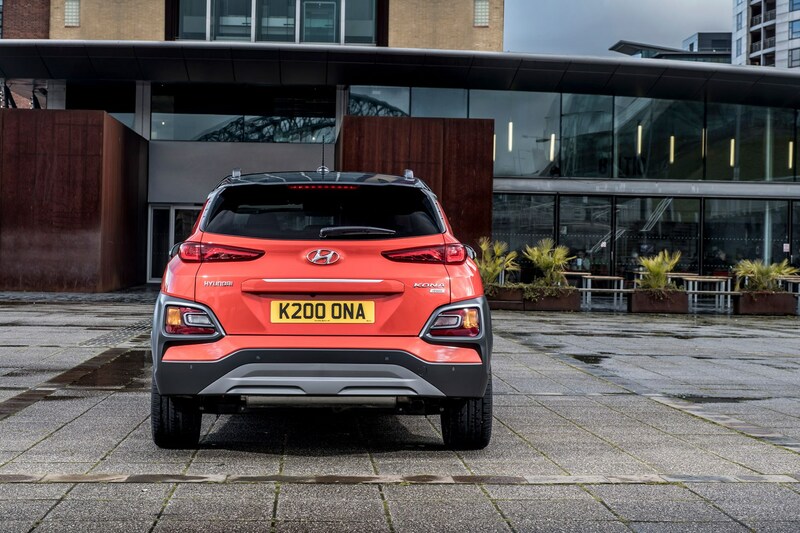 With the good-value ethos of the brand, solid build and reliability, long warranty and great dealers, it's a rational choice for most family car buyers. 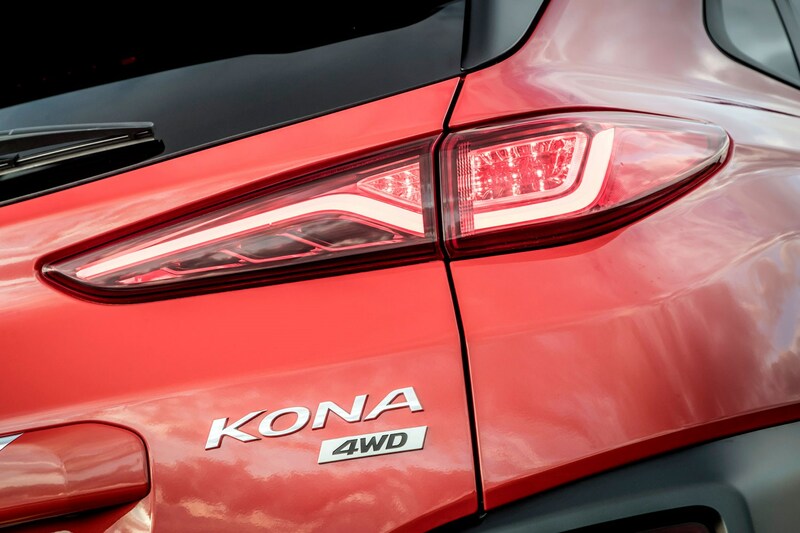 Toughest competition might well come from the Kona’s sister model, the Kia Stonic, which shares its petrol engines and lots of other technology under the skin. 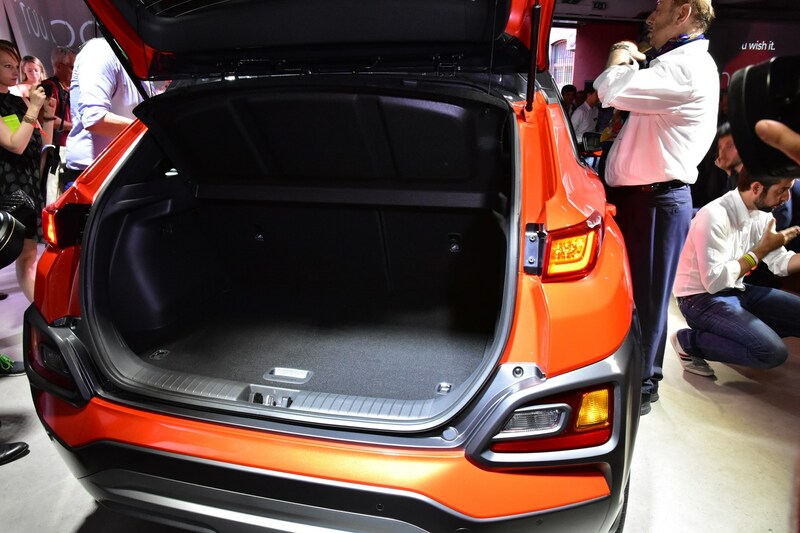 And it has a seven-year warranty. 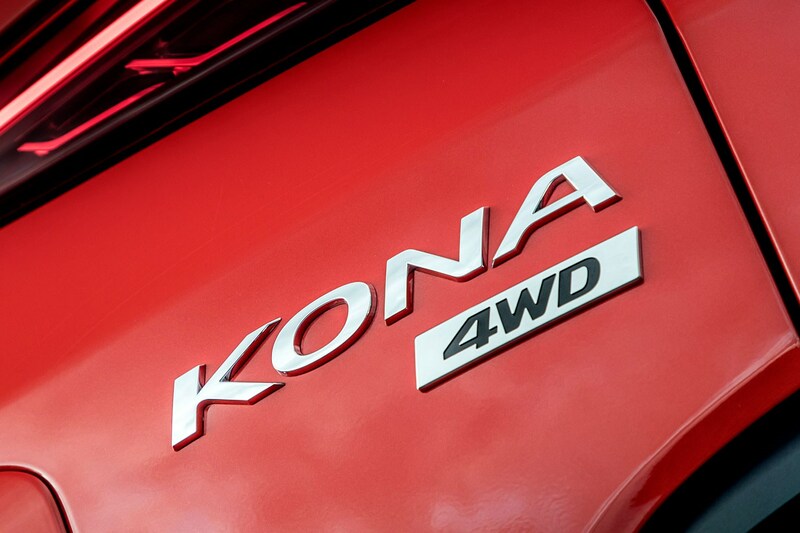 The Kona offers customers a broad choice of powertrains to choose from. 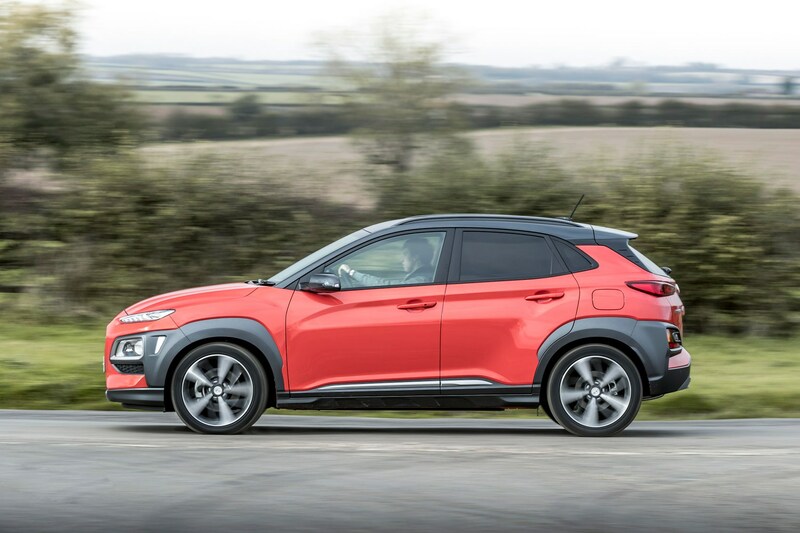 There are two diesel options (115 and 136hp) and a pair of petrol-powered Konas (118 and 177hp) to choose from, and these should satisfy the needs of most family car buyers in this market. 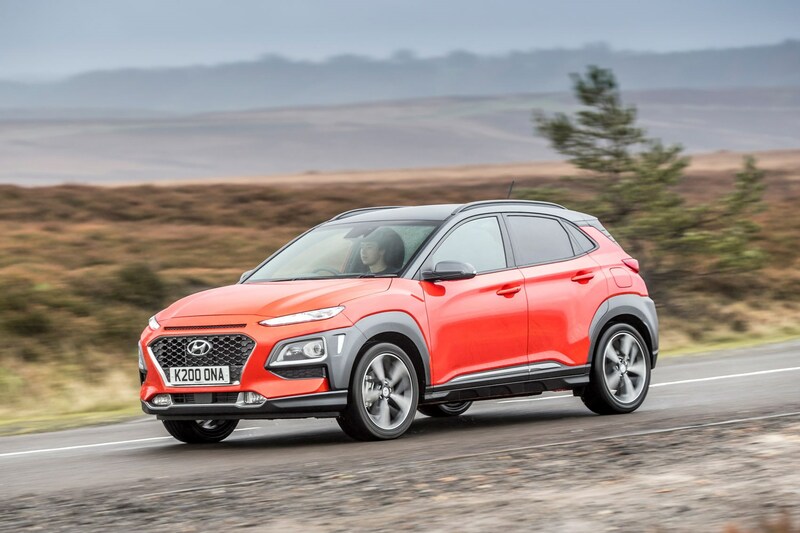 Also available is the Parkers New Car Awards-winning Hyundai Kona Electric, which is covered in a separate review. 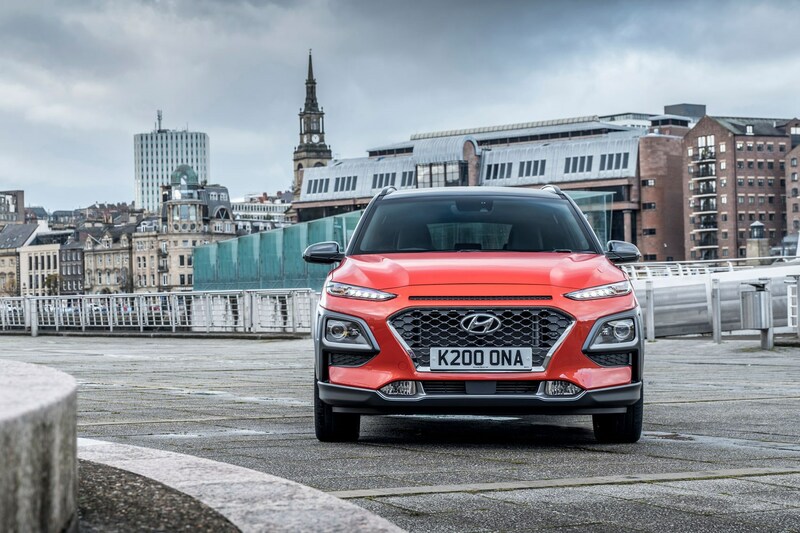 This is an important car for Hyundai, as it continues a number of new visual themes, introduced in the latest-generation i30 hatchback, albeit with a radical Citroen-esque vibe. 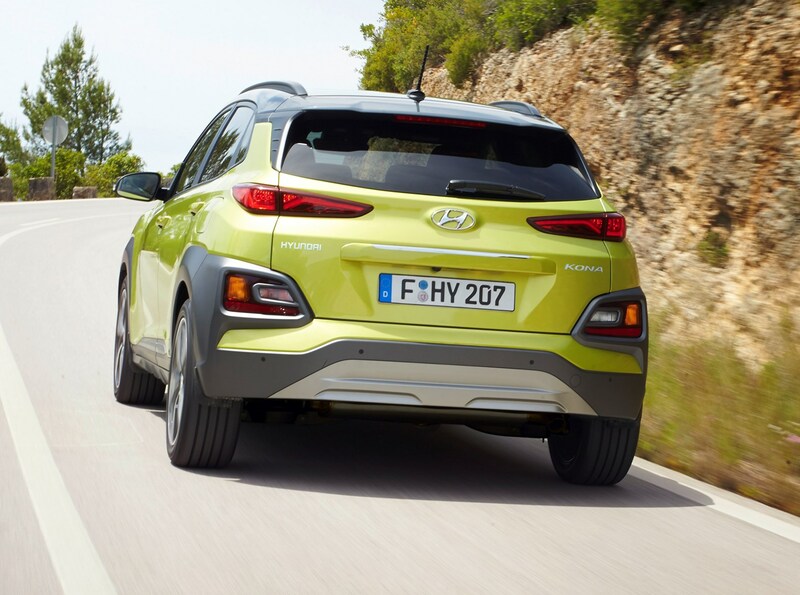 It rides on a modified version of the i20 hatchback’s platform which is shared with the closely related Stonic. 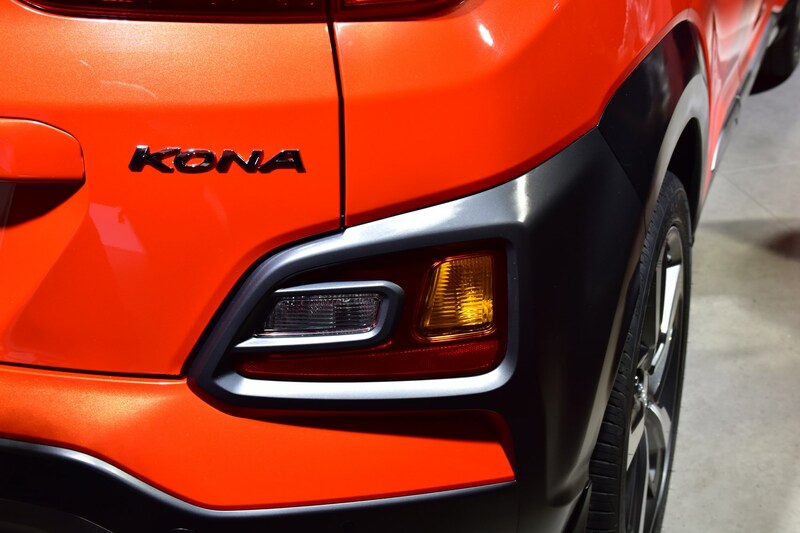 Majoring on style and configurability, the Kona features controversial styling that some drivers will love and others will hate – like the Nissan Juke, which spearheaded the small crossover sector – in a deliberate move to draw new buyers to the brand. 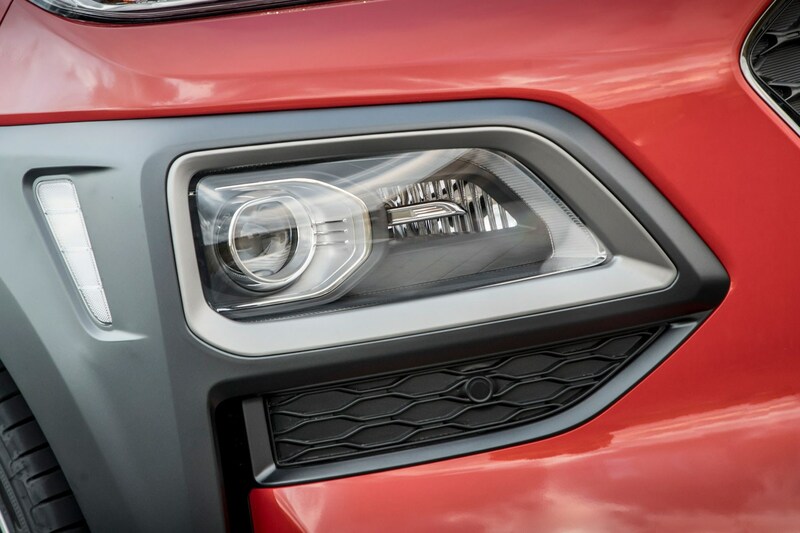 The Twin-layer front lights, contrasting roof and side cladding are all now established small-SUV styling themes. 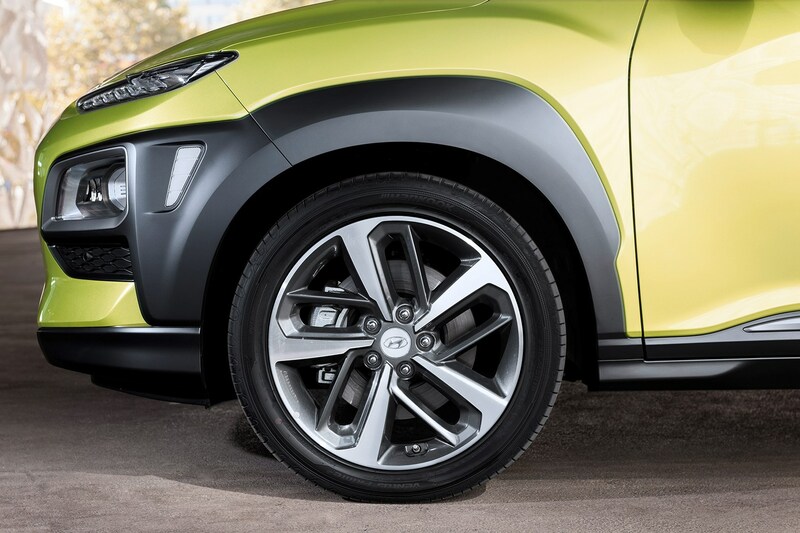 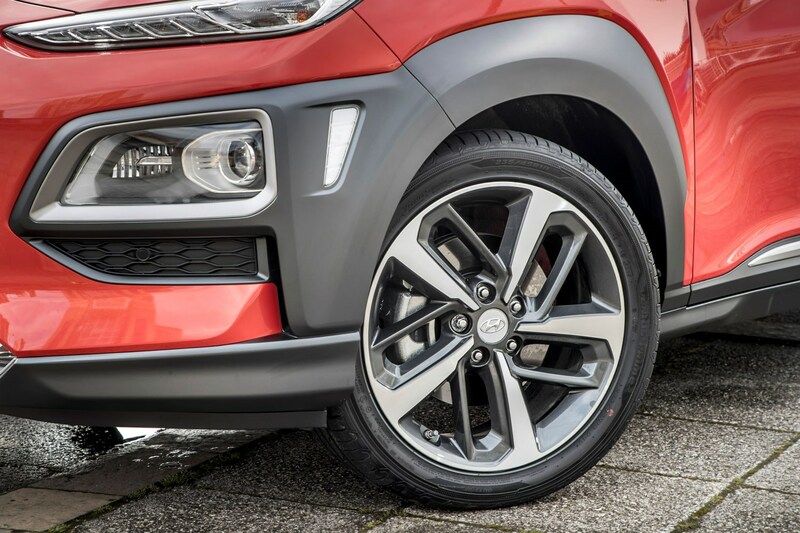 Channelling its power to the road, the Kona will come with chunky alloy wheels up to 18 inches in diameter for a rugged look. 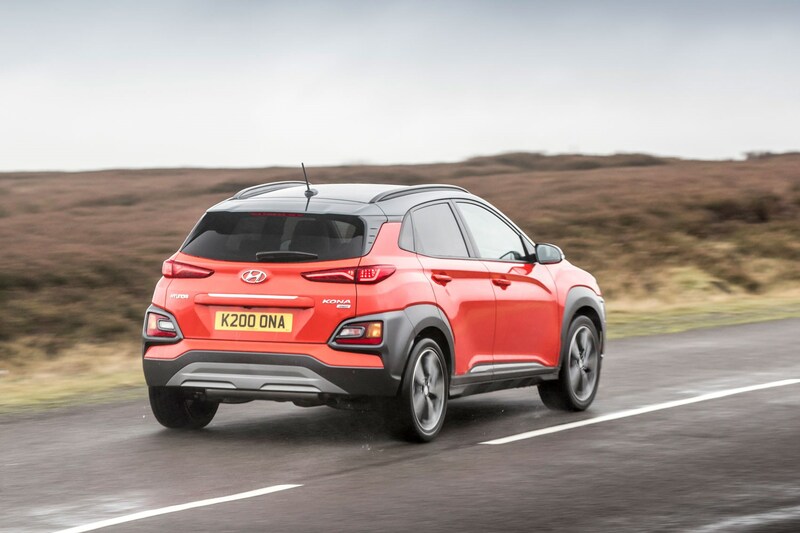 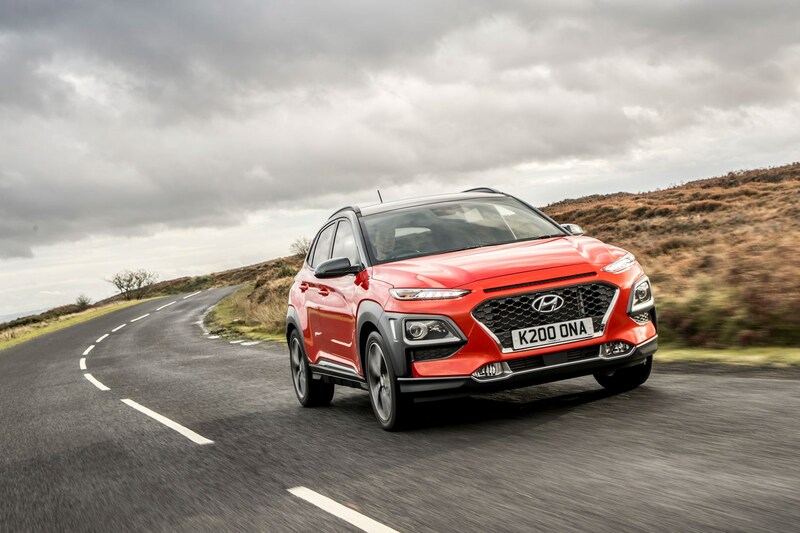 Reasonably high ground clearance of 170mm for the Kona means that you should be a little less likely to scrape the underside of this Hyundai when negotiating steep, bumpy driveways or heading down rutted campsite roads than with a conventional hatchback. 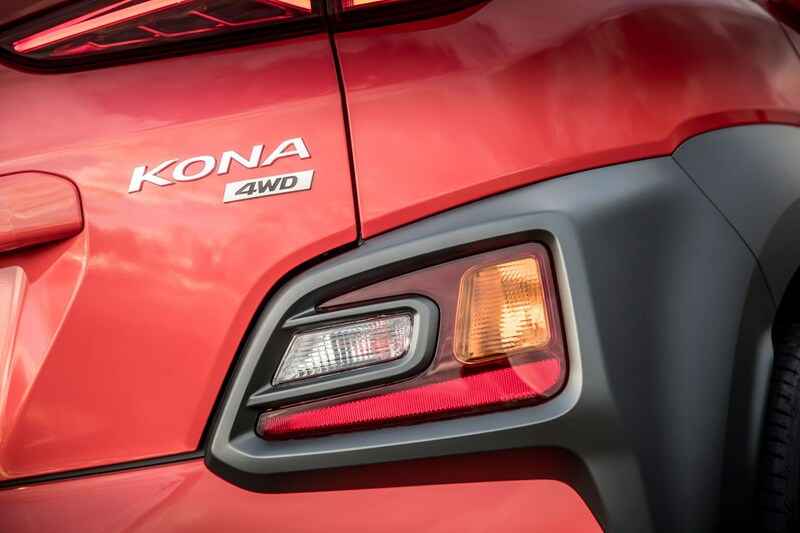 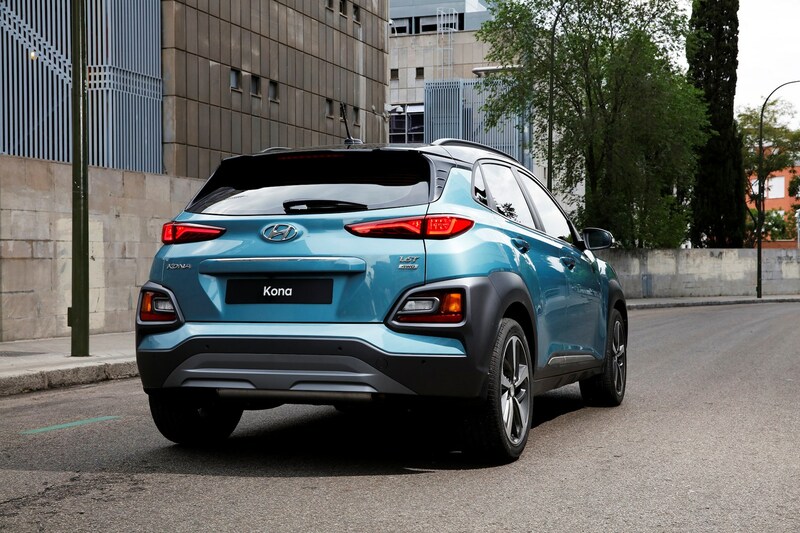 Which is better: a petrol or diesel Kona? 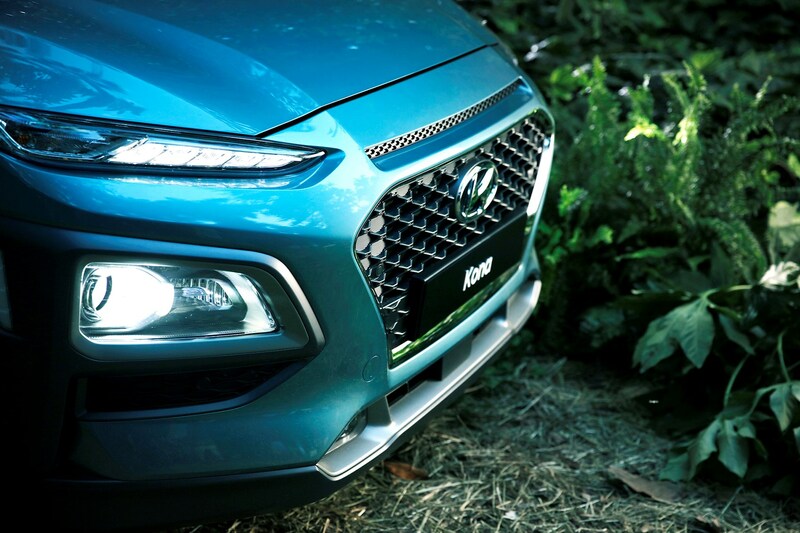 As always with this question, it depends on your needs. 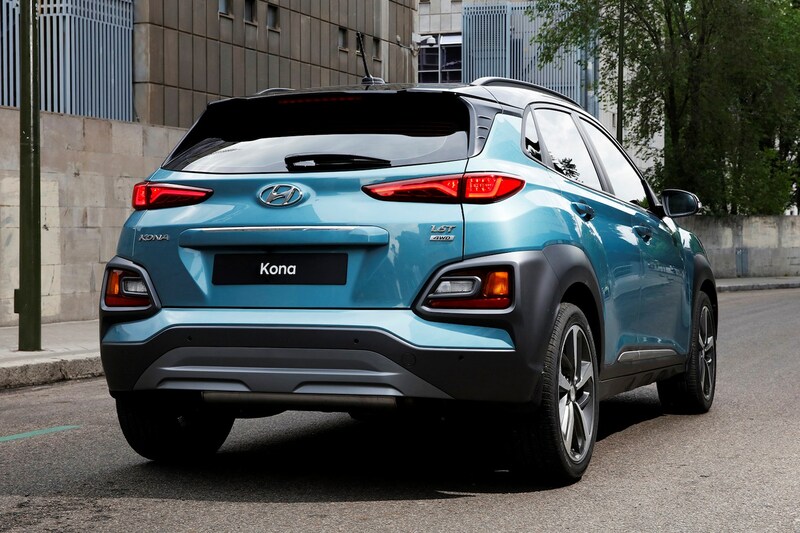 The Kona comes with a range of turbocharged engines – consisting of 1.0-litre and 1.6-litre petrols plus, a 1.6-litre diesel. 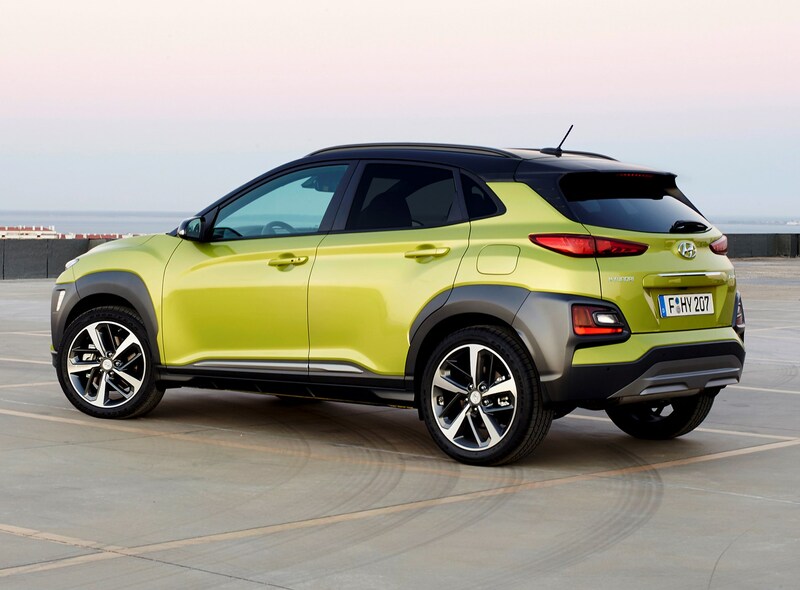 Cheapest is the 1.0-litre 120hp petrol, while the most economical is the lesser diesel engine with 115hp. 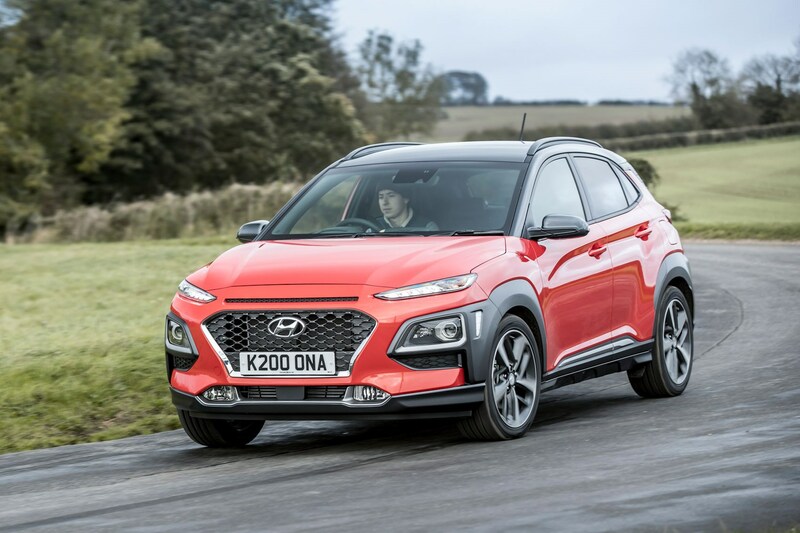 When dealing with these similarly-powerful variants, the gap in terms of fuel consumption is actually not so great – so the more-future-proof petrol is probably the one to go for. 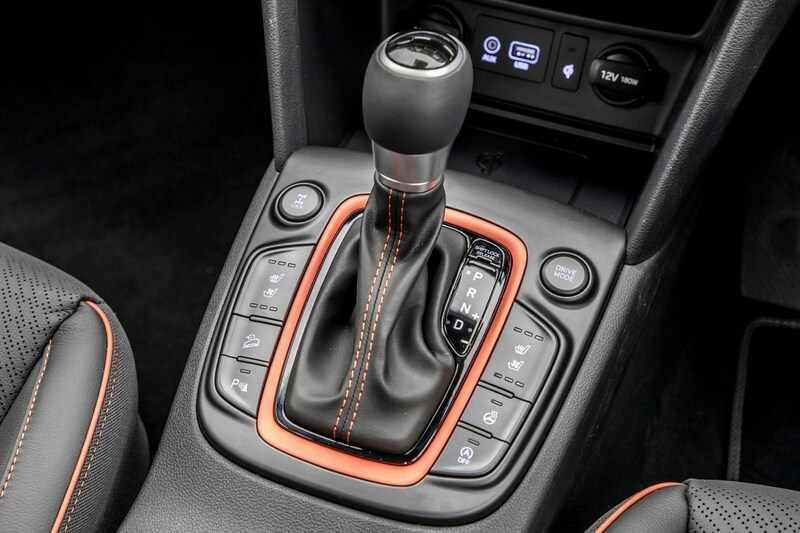 It's certainly nicer to drive. 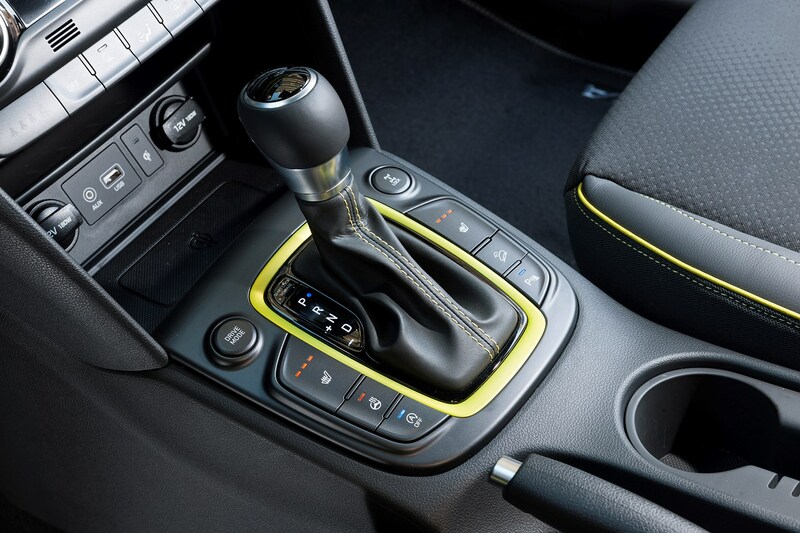 All engines have been tuned for low engine speed punch to make them easy to drive with palatable fuel economy. 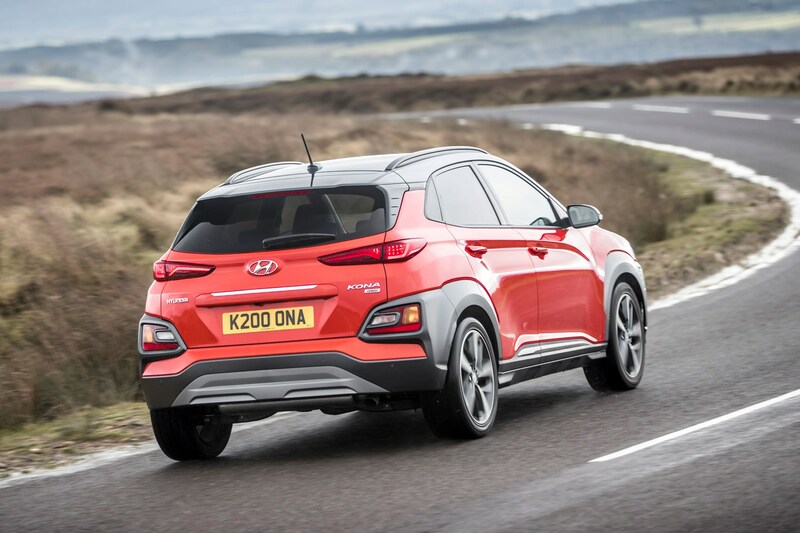 Expect just above 50mpg for the 1.0-litre petrol and just under 40mpg from the 1.6-litre. 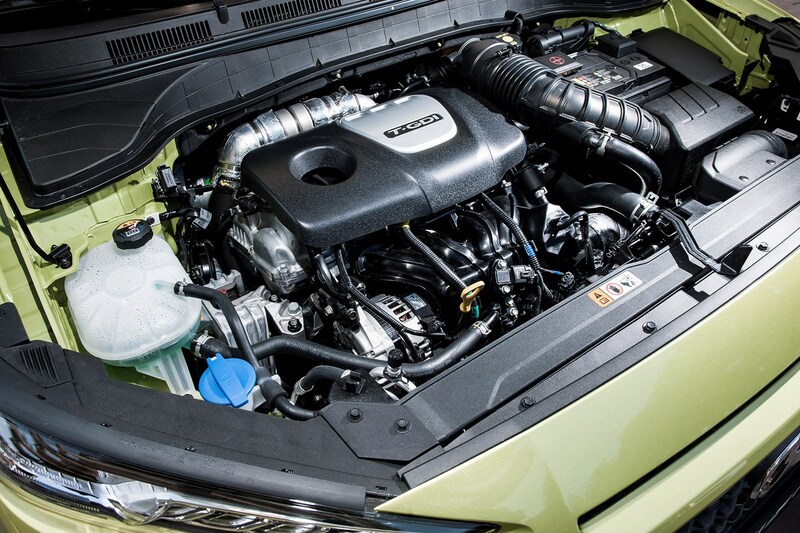 Figures for the diesels will be announced closer to them arriving in showrooms. 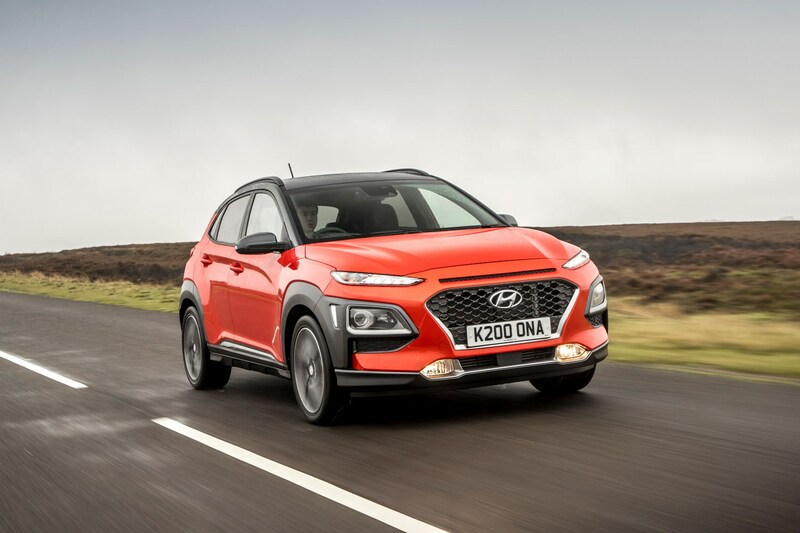 Meanwhile, the most powerful – the 177hp 1.6-litre petrol – comes with all-wheel drive and a dual-clutch automatic gearbox as standard and is capable of accelerating to 62mph in a brisk 7.9 seconds. 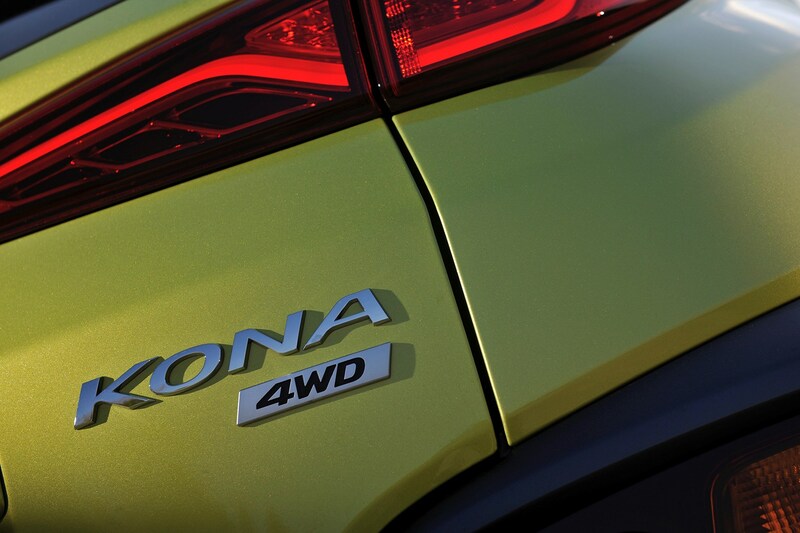 That makes this a bit of a wolf in sheep's clothing, and an unlikely way of surprising hot hatch drivers on the road. 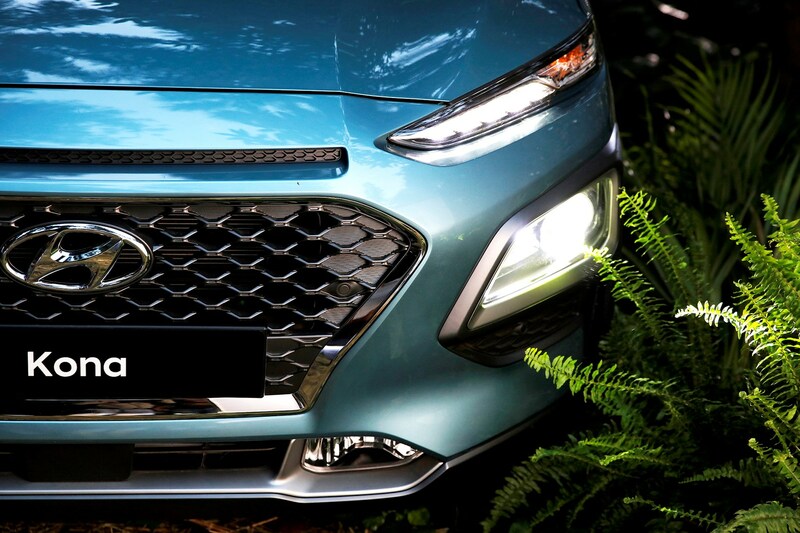 It looks striking on the outside. 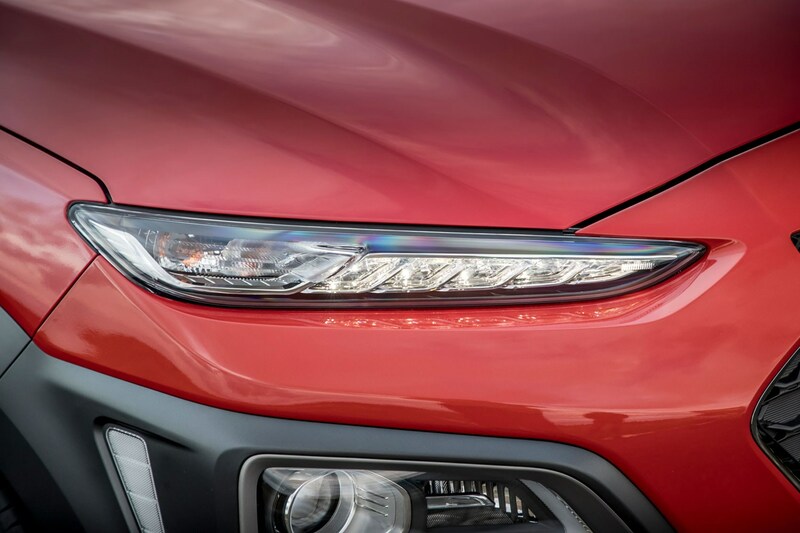 The slim day-running lights (DRLs) are a new Hyundai feature, neatly house incorporated turn signals and are positioned in a stack, separate to the full-LED headlamps which come as standard on the top-spec models. 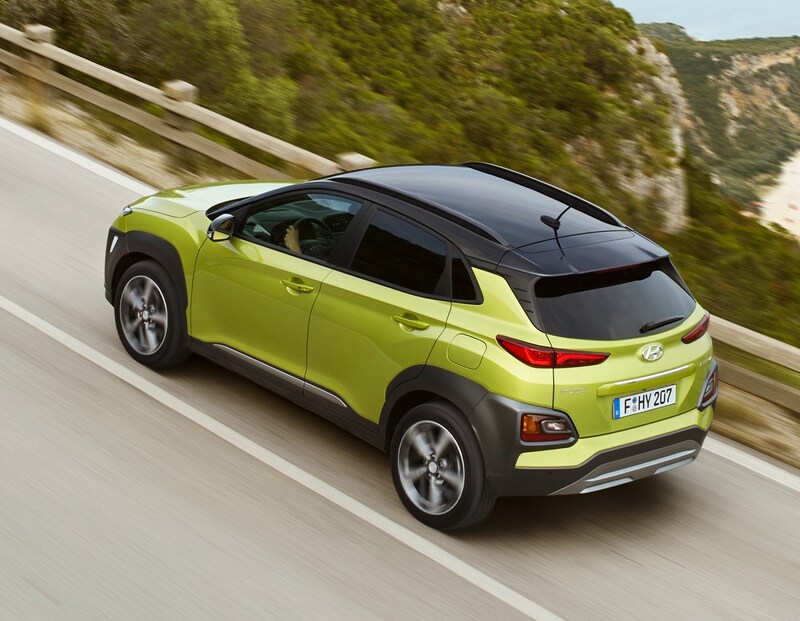 At the back, you get a set of LED lamps on range-topping models, with the slim tail lights being supplemented by separate clusters housing the brake lights, indicators and reversing lamps. 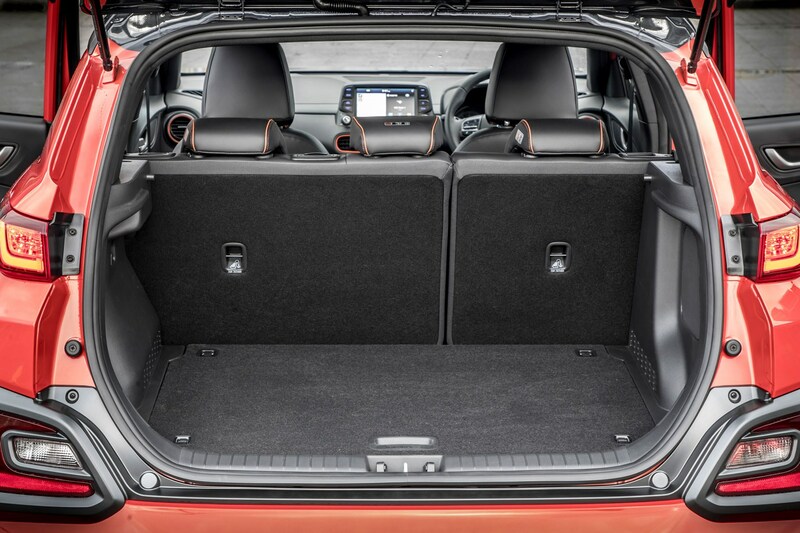 It’s a similar arrangement to that employed on the Kia Sportage. 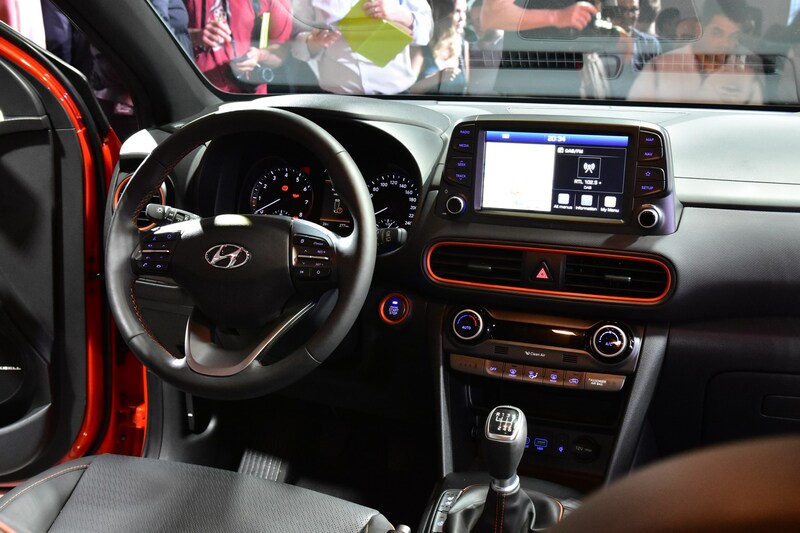 It’s de-cluttered inside, with a split-level dashboard that leaves the touchscreen media system display appearing to float above it. 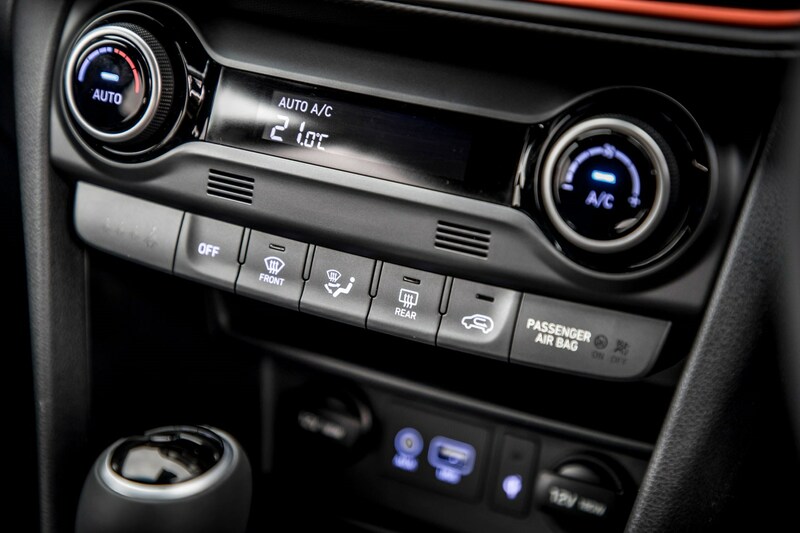 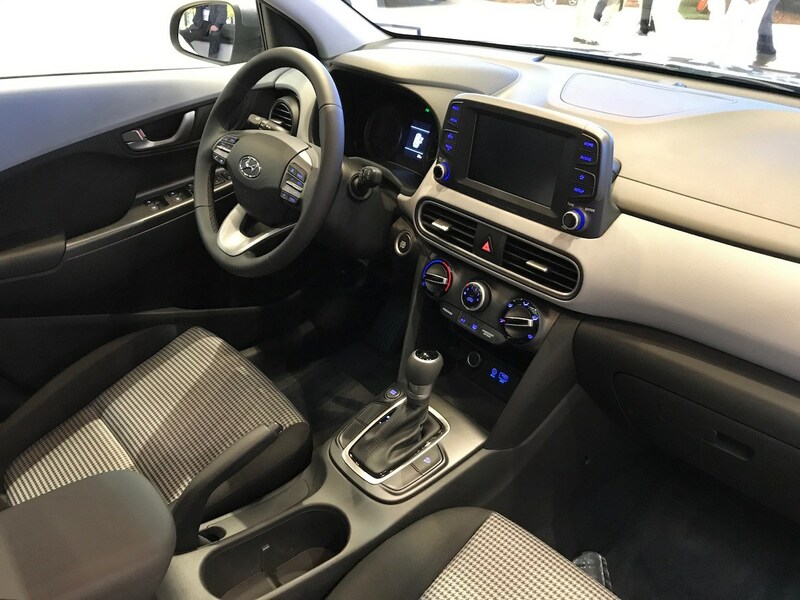 It’s a set-up that debuted in the i10 and i30, and which simplifies the way the heating, ventilation and air conditioning controls work. 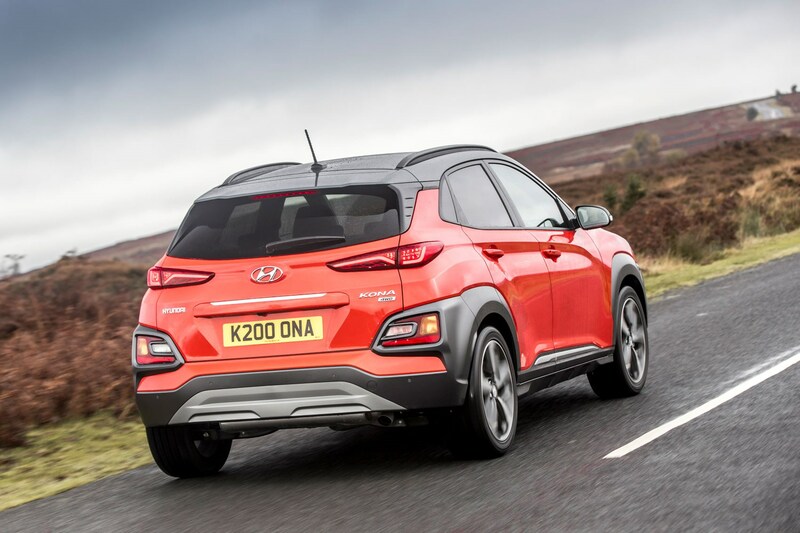 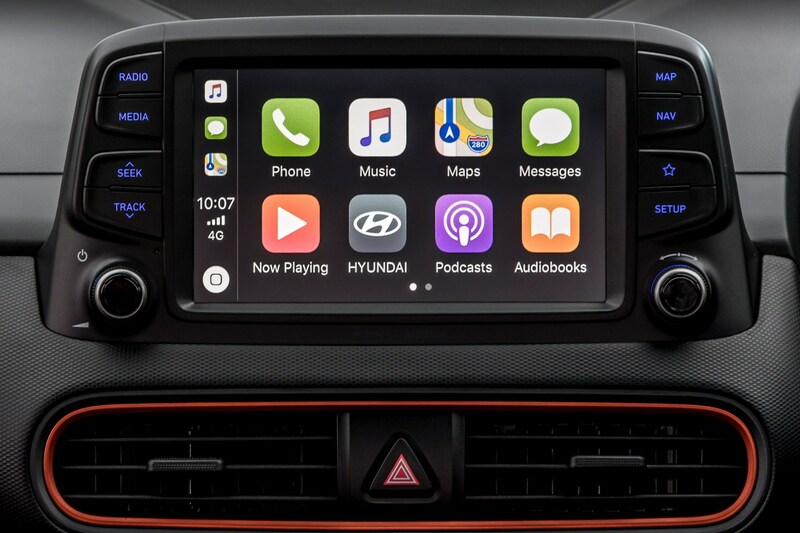 Hyundai has been working hard to perfect the ergonomic experience of its mainstream cars. 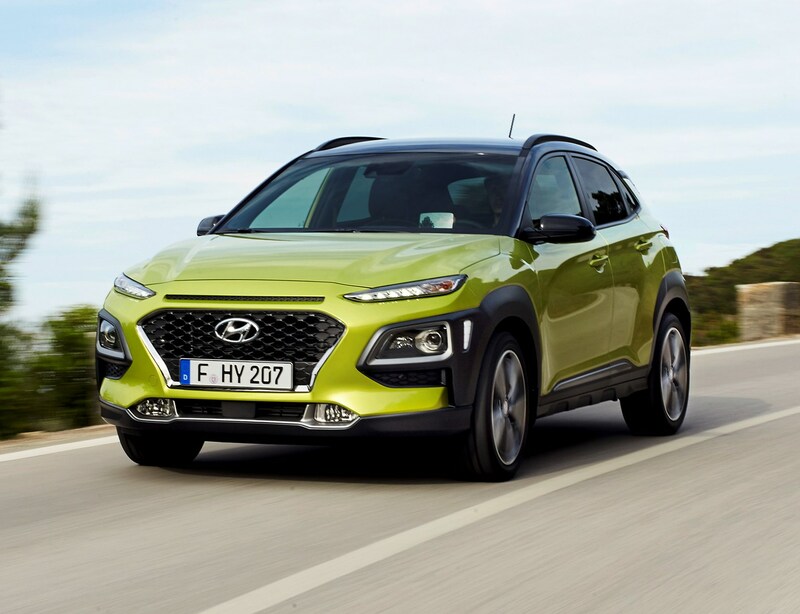 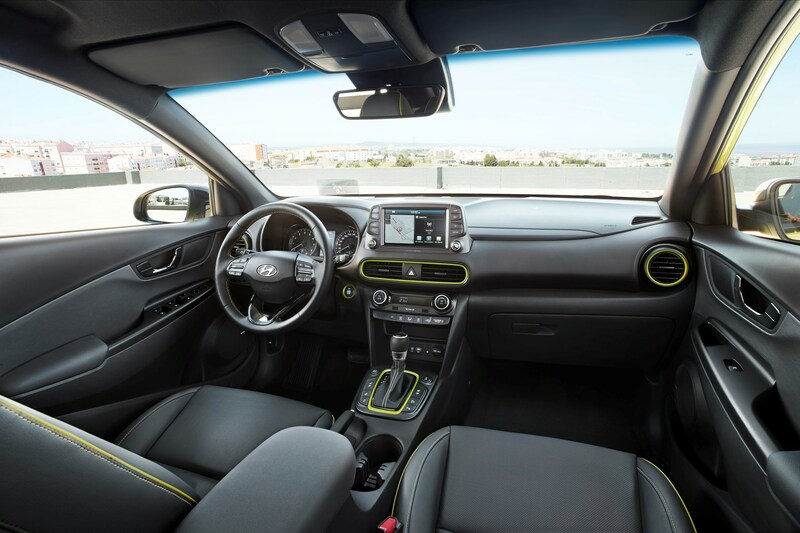 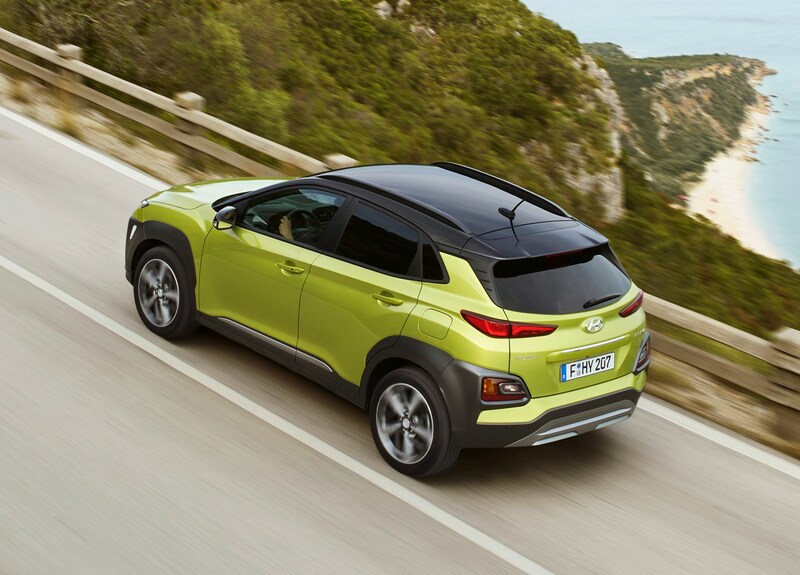 Like the Nissan Juke, the Hyundai Kona allows you to personalise your car with bright paint colours, contrasting roof tones and zingy interior trim. 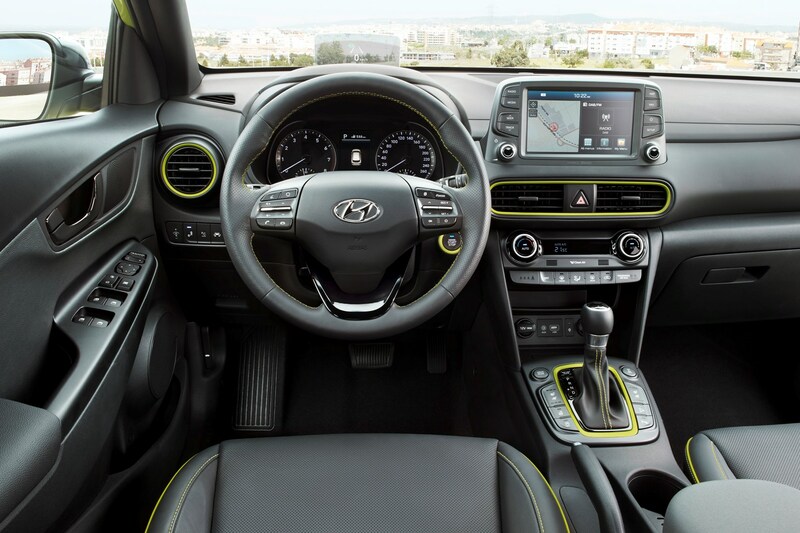 Buyers can choose from a wide range of hues including lime green and bright orange to help make their car stand out. 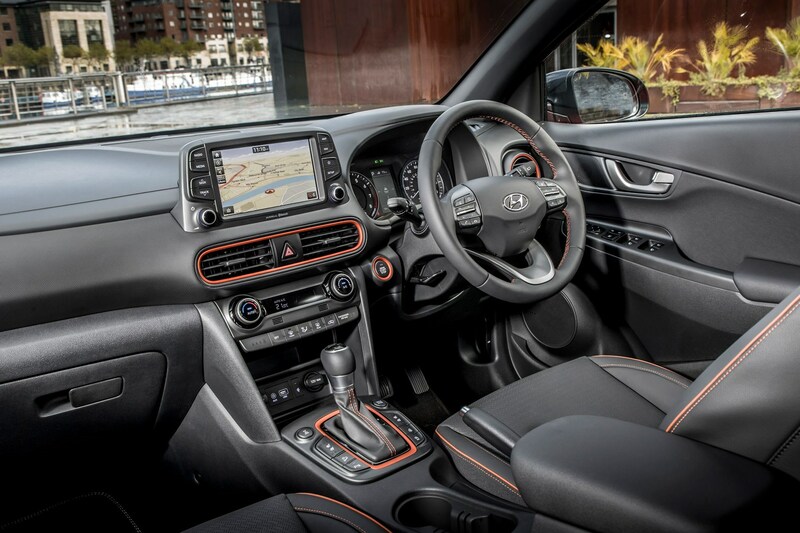 On the inside coloured stitching and similarly saturated accents on the steering wheel, around the gearlever and on the seat belts should help you to tailor the Kona to your tastes. 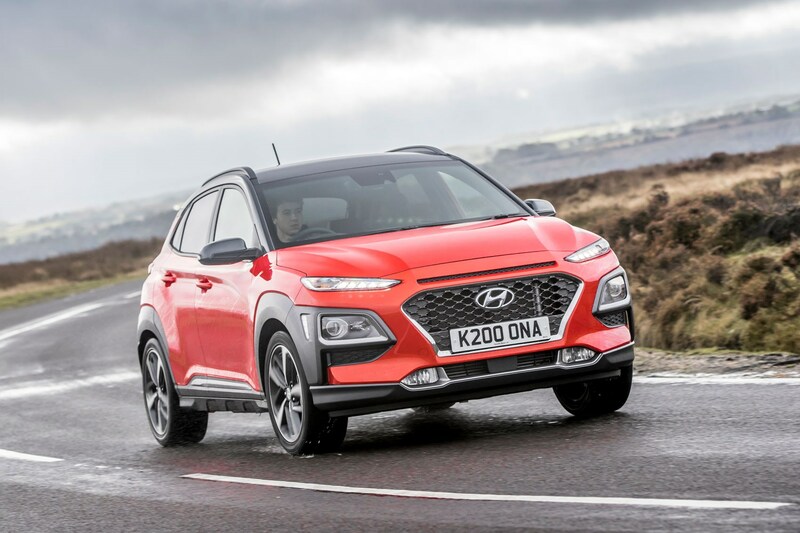 Should you buy a Hyundai Kona? 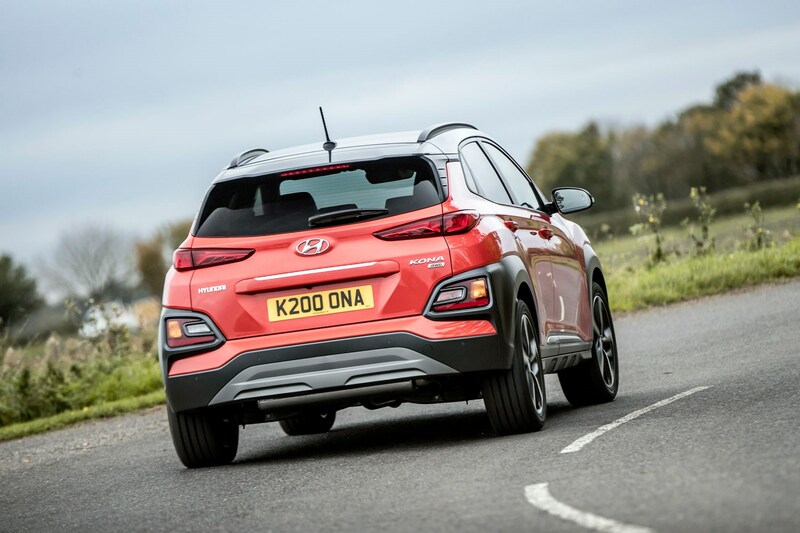 The Kona is a neatly designed car that looks great on the road – or horrifically ugly depending on your taste – drives well, and comes packed with kit, provided you choose one of the higher specs. 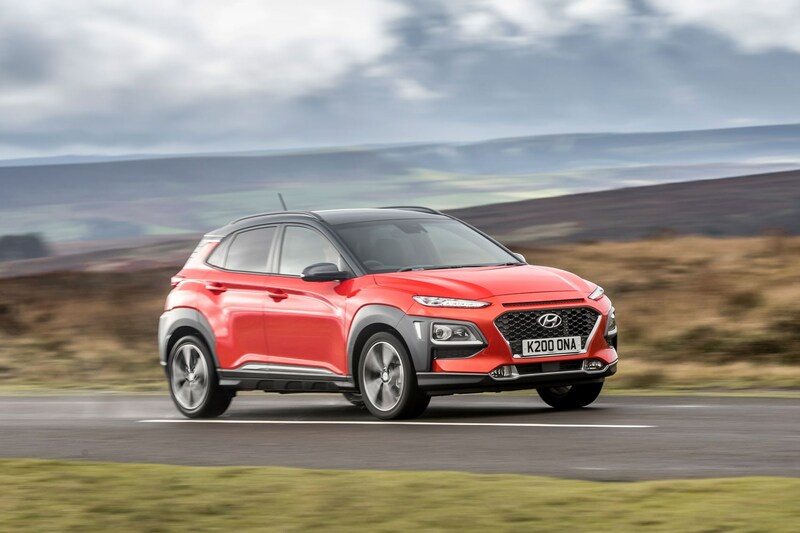 This should be an easy car to live with in the long term, especially given Hyundai's excellent dealers and reliability record. 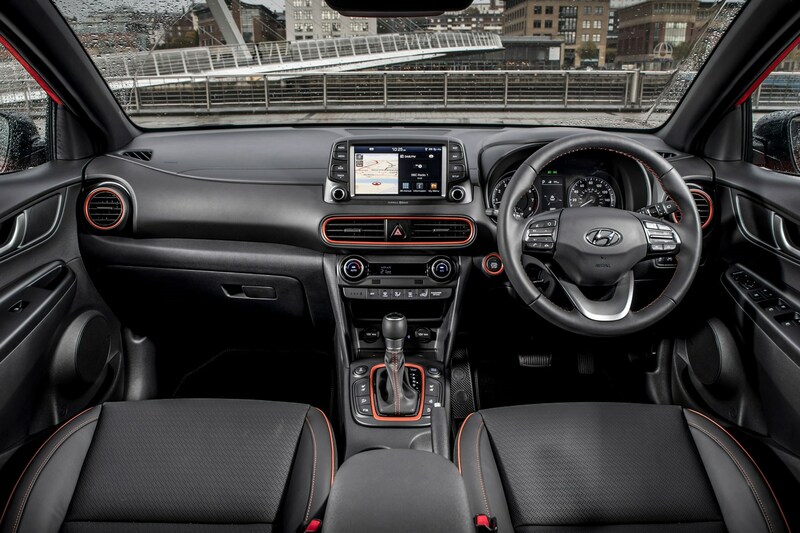 It’s roomy up front, packed with thoughtful features, is kitted well, and is actually impressive to drive. 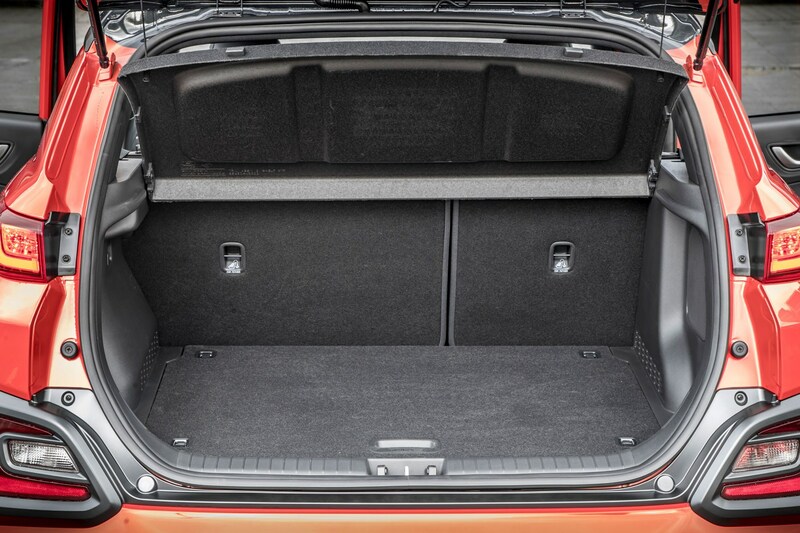 Where we do struggle is the lack of room in the rear and the less-than-competitive PCP finance options. 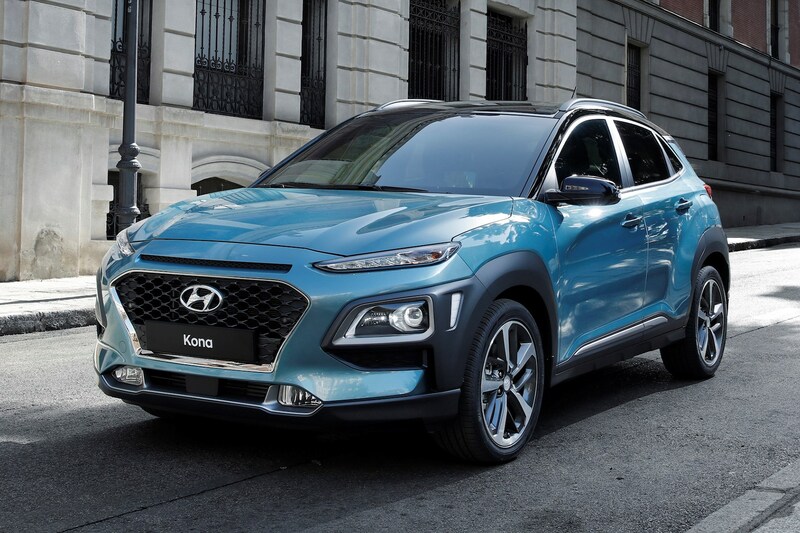 It's a challenger in this market sector. 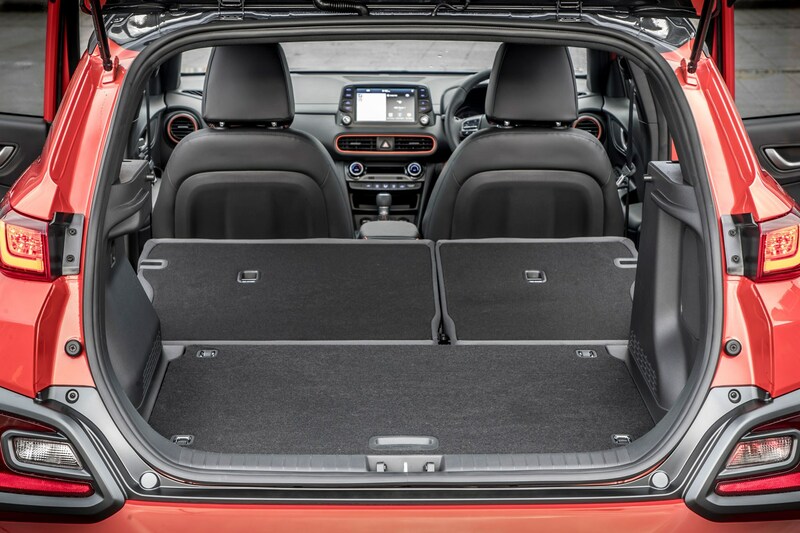 but if you want the very best (especially if you enjoy driving), you should really plump for a Mazda CX-3 or SEAT Arona.